“Are we at the Bank Of America Theater or the Admiral Theater?” asked my smiling companion during the Rock Of Ages show last night. It was what I was thinking as well. Rock Of Ages takes you back to the late 80’s on the Sunset Strip where long and stringy or feathered hair was “the thing” and short shorts (or no shorts?) were everywhere. And in this show, half of the ensemble had also raided their local Frederick’s of Hollywood store. 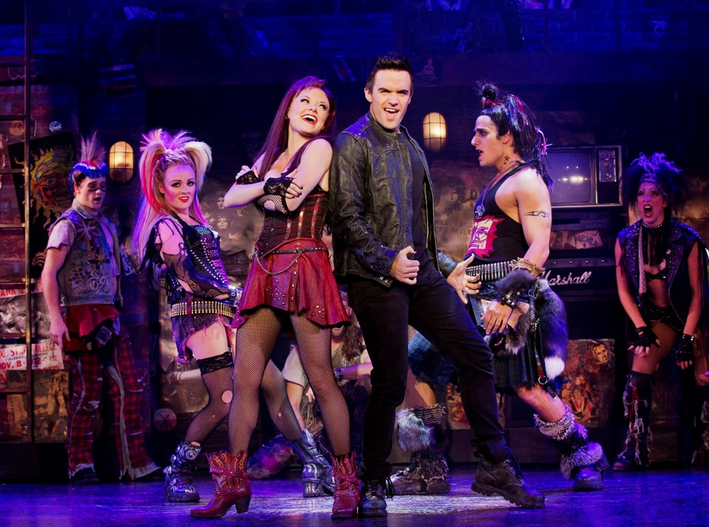 Rock Of Ages Chicago Review: Rock of Ages was created in 2005 and is currently the 31st longest running Broadway Show. I know that you are all thinking about the movie that was released in 2012 (starring Tom Cruise, Diego Boneta and Julianne Hough), but I’m going to ask you to try put those thoughts aside for a minute. 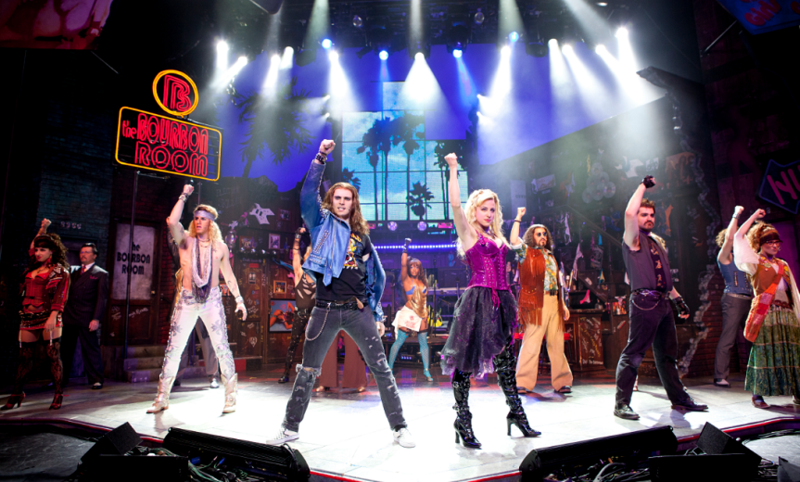 Rock Of Ages the stage musical is loud, fun, raunchy and entirely tongue-in-cheek. You spend much of the show bouncing your head to the songs that you’ve known for 25 years (“More Than Words,” “Oh Sherrie,” “Here I Go Again,” “Harden My Heart,” “I Want To Know What Love Is” and so many more) and trying so hard not to sing out loud, possibly embarrassing yourself. Of course, by the end of the show, everyone is singing along because you just can’t help it. The first moment of the show sets the tone for the entire three hours. As the house lights begin to fade, stage lights streak down from above the stage and hit the crowd like a rock concert. The band is loud and ready to jam and the energy starts charging through the seats. You realize then what you’re in for. Next the cast begins to flood the stage, and in that moment (full of stringy hair and very scantily clad women), you feel the energy of the music in the floor and you are encompassed by nostalgia. The first act continued just like that – never letting up on the energy or the pace – and taking you through to the intermission. I don’t believe they ever finished a single song (or if they did, very few), but that didn’t matter because you flowed through that first act, laughing and jamming to the music that you know so well. The beginning of the second act was much slower than the first, but hang in there. The show ends with a great number. All of the actors, singers and dancers were extremely talented, but there were a few who stood out. Andrew Sklar (as Lonny) was the bawdy MC for the evening. He had a blast with his role and the bit became hilariously infectious. Tanner Hussar (Franz) was a character that I wasn’t familiar with at all, as Franz wasn’t in the movie, but Mr. Hussar owned the stage when he was on it. The way he flourished got a well deserved laugh every single time he appeared. Lastly, Kadejah Onè had a voice that stopped you cold. Her powerful chords cut through you in a way that I don’t think I’ve experienced before. I’d be happy listening to her sing the phone book. This is a show that might shock you right out of the gate, but give it a minute to find it’s footing. You won’t be sorry AND you’ll spend the next day singing all of the songs that you haven’t thought about in years. Rock of Ages is here for one week only and will finish it’s run on 3/16. You can also get half price tickets over at Goldstar. Interested in reading more Entertaining Chicago theater reviews? Go through all of them here. Heartbeat Of Home Chicago Review March 2014: Powerful. Captivating. Energizing. Airy. Those were the words that continually floated through my mind and likely those of my fellow theatergoers watching Heartbeat of Home at the Oriental Theater. Heartbeat of Home is a step-dancing performance conceived of by John McColgan and Moya Doherty, the same creators of Riverdance. I have never seen Riverdance, so I will admit that I went into this performance not knowing exactly what to expect. From the first beat of the first click of a shoe I was mesmerized. The dark stage went from several introductory moments of one-move shoe clicks and lightning-like lighting effects to an explosion of music and motion. 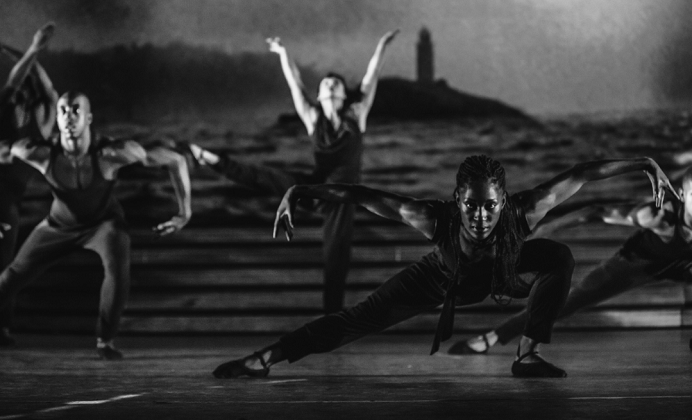 The calm and poise displayed by the dancers appeared almost inhuman as they launched their bodies around the stage in predetermined patterns of gymnast-like movement. It was enthralling to take in the spectacle. 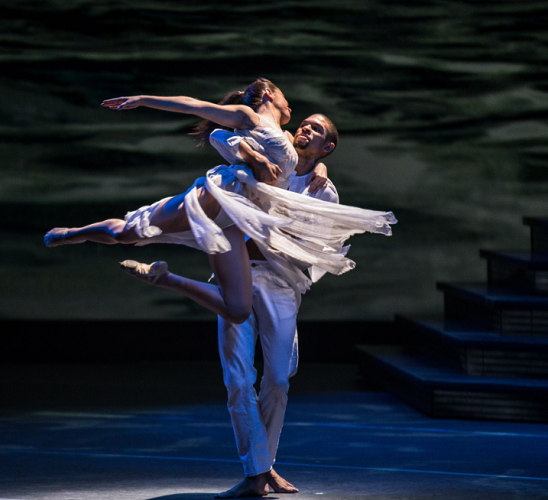 Heartbeat of Home is unlike Riverdance in that it consisted of an Irish Dance troupe, Latin dancers, Flamenco dancers and Afro-Cuban dancers all intermixed throughout the production as well as in smaller vignettes. And unlike any other production I’ve ever seen anywhere, every single member of this company, from the dancers to the musicians to the singers were as invested as every other performer. This company left their hearts on that stage. They owned every moment of the show and they all appeared to love performing it. It truly was a site to behold. I would be remiss if I didn’t mention a few of the standout performers (including Ciara Sexton, Bobby Hodges, Clare Craze, Vanessa Guevara, Curtis Angus, Angelo Gioffrè, Teneisha Bonner, Kieran Donovan and Renako McDonald among so many more), but I can truly say that each person on that stage was absolutely the right person to be performing. Or so it appeared to an audience member. 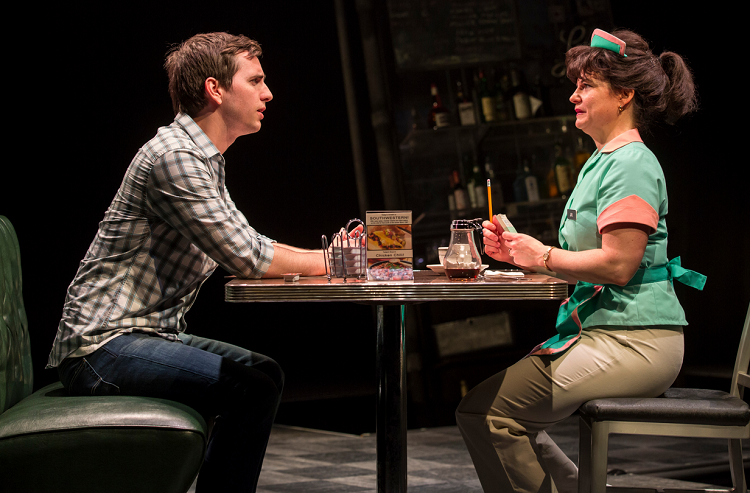 Heartbeat of Home is playing at the Oriental Theater through 3/16/14 and you can currently get tickets for as low as $29. I highly recommend this show and hope you enjoy it as much as I did. Oriental Theater Chicago 2014: As I exited the theater with the crowds of people who watched Ghost The Musical at the Oriental Theater this week, I noticed that the woman at the concession stand was waving a CD and reminding everyone that they could purchase a copy before leaving. And not one person did. That was a pretty good representation of the feeling that I got while watching this show – or rather, the lack of feeling. Ghost The Musical Chicago Review: Ghost The Musical (starring Steven Grant Douglas, Katie Postotnik and Carla R. Stewart) is the same story of the famous movie starring Patrick Swayze and Demi Moore. A man and woman have a great love, do some pottery, he dies and they both have an emotional love affair with Whoopi Goldberg. I enjoyed the movie enough, but I was always bothered by the fact that the Demi Moore character Molly seemed to lack depth. I never really cared that she was sad. I wanted to, but I never connected with her. Unfortunately the entire two and a half hours of Ghost The Musical is the same experience. The actors in the show performed well and performed earnestly. They had wonderfully powerful voices – when they could be heard over the music. Most of the louder numbers drowned out much of the singing, so the amazing belted notes are the ones that you heard. And they were great! That being said, none of the music resonated. There wasn’t one single song that you found yourself humming afterward and poor Ms. Postotnik sang one sad ballad after another. It’s just that they all felt the same. 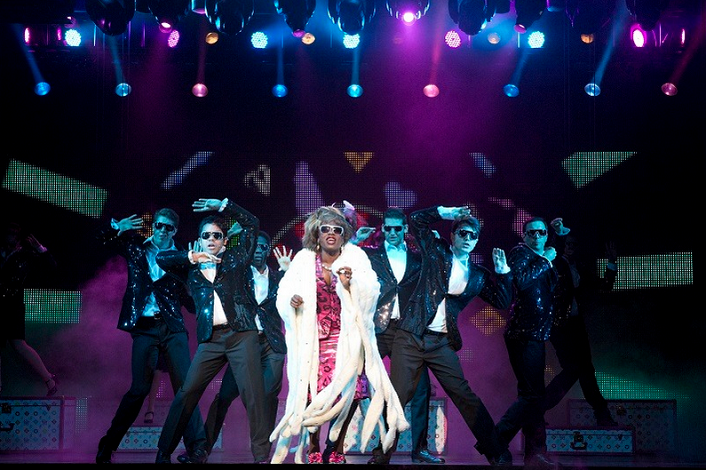 On a lighter note, Oda Mae Brown was hilarious from beginning to end. I could have done without her songs as well, but Ms. Stewart had a dynamic presence that made you want to watch her. Her grand musical entrance (along with her sisters) was fantastically funny and that is probably the only song I can truly say that I enjoyed and to which the entire crowd responded. There was one area that I did think was remarkable and that was the lighting and special effects. Many of you will remember the scenes in the film where Sam has to learn to walk through a door and where he meets a man on a subway (“Get off my train!”) who teaches him to move physical objects. Those two scenes in particular were phenomenal to watch. I have my ideas of how they accomplished these amazing visual effects on a stage, but I don’t really want to know. As an audience member, it was an eye-opening pleasure to watch Sam slowly make his way through a door that by appearance (and some lighting) stayed intact. The train was a whole other experience. They had a movable set of train seats and railings on which many of the ensemble actors sat. As our “Subway Ghost” kicked and punched items out of people’s hands, slow motion and strobe lights would take over and these objects would float and spin through the air. It was my favorite part of the entire show, that two minute “dance.” Think of your favorite action movie that incorporates a car driving down the street at high speed and imagine all of the cups, papers and other extraneous items that fly out of the way of that car. Now imagine those items on a stage. It was fantastic. There were a few other oddities that I won’t go into (like how there was periodically a group of people in either suits or street-wear performing like a dancing Greek Chorus, the constant attempt to make New York City another character by projecting fast-moving street and skyline visuals on background screens and how the song “Focus” performed by the Subway Ghost felt completely disjointed and like a sudden thrash-metal performance by Faith No More), but they left both me and much of the audience furrowing our brows. All in all I would say that the actors did their jobs, the lighting, staging, costumes (I loved that the ghosts Sam met were a heavenly white from the chest up and regularly clothed below) and sets were effective, but the score and story were lacking. I won’t be seeing it again and I can’t recommend that you do either. *Originally posted on Couponing For 4. Reposted with permission of the author. Oriental Theater Chicago 2013: I am going to come out an say it – I am a huge Queen fan. I love Queen covers, I love Queen music and I would happily and fiercely argue that “Under Pressure” is one of the best songs of the last century. Therefore, I was sure that the production of “We Will Rock You The Musical” by Queen and Ben Elton through Broadway in Chicago would be an amazing evening. It turns out I was only half right. We Will Rock You is made up of a collection of Queen songs a la Mama Mia (Abba music) and Movin’ Out (Billy Joel music). I went into the We Will Rock You Chicago show having read no reviews, recaps or any other information, wanting to be able to experience the show with a completely clear perspective. As the theater first darkened, “Innuendo” started to play. We were met with a screen that explained a premise about how a digital wave had taken over the land and people were only allowed to listen to the music “prescribed” by higher powers. No real music was to be played or even discussed. Okay. I’m willing to go with that. The stage lights then flooded the audience to a degree that all of us covered our eyes. I’m not entirely sure what that was supposed to convey, but I do know that I (along with many of the other audience members) kept my eyes mostly closed until that opening act ended. I didn’t want to miss the rest of the show because I’d suddenly lost my sight. The music throughout the show was consistent. The voices were good (and easily stolen by the vocal stylings of Brian Justin Crum who played Galileo), but the show was incredibly uneven. Our two antagonists (Killer Queen played by Jacqueline B. Arnold and Khashoggi played by P.J. Griffith) appeared to be a strange replication of Tina Turner from Mad Max and Flash Gordon respectively. This could have been thoroughly entertaining (and yes, they played the Flash Gordon song), but it seemed as if the show wasn’t in on the joke or the campiness. The majority of the time that these characters appeared on stage, the show fell flat. This was not as much the fault of the actors, but the show dynamic itself. One of my favorite songs “Fat Bottom Girls” arrived out of nowhere, with Killer Queen in a sexier outfit and all of her “minions” wearing very little and carrying phallic pink dusters. That scene never went anywhere and there was never an explanation for it. It was literally a vehicle for the song. That being said, the other stars of the show were entertaining. Mr. Crum had a voice that made you want to spend the show listening to him sing an entire Queen playlist. His female counterpart (Scaramouche, played by Ruby Lewis) absolutely killed “Somebody To Love” and the couple did a great job with “Under Pressure.” There were a few standout scenes, one of which was when this young couple gave in to their feelings for each other during “Who Wants To Live Forever.” The lighting was intense and reflected beautifully off of the billowy smoke that slowly flooded the stage. When the guitarist entered the stage through the smoke, the crowd rightfully burst into applause. It was a fantastic moment. I would be failing to mention the most entertaining part of the show if I didn’t discuss Buddy, the tie-dye clad hippie who reminded me of a 1960’s George Carlin. He was the comic relief and likely the most memorable and fun part of the show. It was a shame that it took 40 minutes to get to his real entrance, but once we were there, the show jelled in a way that it hadn’t before. And believe me – he really was worth waiting for! Oriental Theater: Chicago Evita 2013 Review! Oriental Theater September Chicago Evita 2013: Anyone who knows me well knows that I am a theater junkie. While I was raised on the likes of the Beach Boys and John Denver, more often than not there were musical scores being played in my house. Carousel, Pippin, A Chorus Line and more laced their way through my childhood. And that has never changed! I started taking my children to the theater when they were very small and have started a new “date” once per year (so far) when I take my son (almost 8 years old) to a Broadway In Chicago production. I was recently invited to see the brand new production of Evita at the Oriental Theater. I have seen it performed in the past and also own the movie (Madonna and Anthony Banderas star), so I went in with both the knowledge of the show and if I’m being honest, some bias. I have never seen a live performance of Evita that felt cohesive. Where all of the story gelled and made sense. I was hoping that this would be the one that gave me that soul reaching experience that a musical can give you. And it did. Chicago Evita 2013: This performance of Evita was absolutely stellar. From the first appearance of Che (Josh Young) singing “Oh, What A Circus” (a fabulous song), I couldn’t wait to hear him sing more. Mr. Young truly connected with both the lyrics and the audience from beginning to end. His voice was captivating and his musical inflections drove the story. I can honestly say that when he wasn’t on the stage, I was waiting for that next appearance. 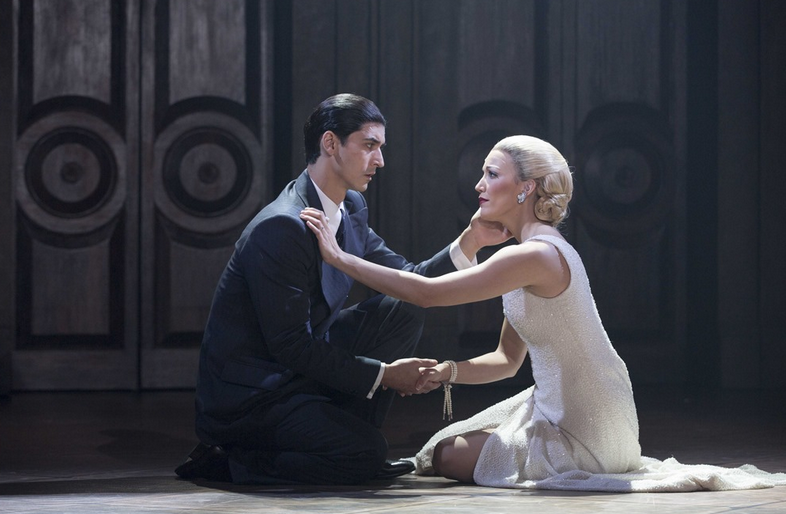 The performance of Caroline Bowman as Eva Perón was just as enthralling. Eva is a truly difficult part because not only does she age from teenager (15) to about 33, but I’ve never seen a portrayal of Eva that I felt matched the woman that I imagine her to have been. Ms. Bowman captured that in spades. From her first appearance as a bright-eyed 15 year old, she owned the stage. She portrayed Eva as a strong, driven woman who knew exactly what she was doing on her rise to the top. And while the score lends itself to the telling of her story, this was the first time I’ve seen an actress not portray the vulnerability of the character until almost the end. This is the Eva that I have always imagined and Ms. Bowman embodied both her power and unshakeable drive. Power is the word that I would say most captured the essence of the show. The choreography was beautiful and strong. 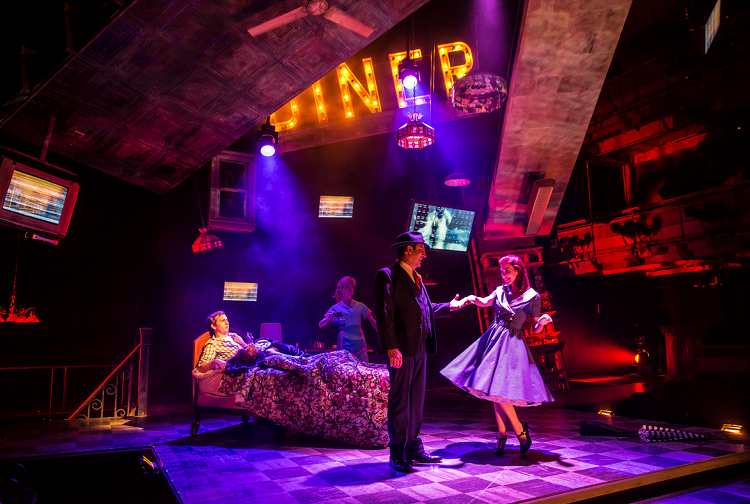 The lighting (particularly when they filtered the lights through the windows at the top of the set and cast specific shadows onto the stage) was haunting. The principal characters were forces to be reckoned with. For example, the first time Perón (played by a strong Sean MacLaughlin) met Eva displayed a forceful attraction that I had not seen before. It embodied a different kind of relationship between them that played through the rest of the show. Eva was not an eye-batting shyly-flirting woman as she’s often portrayed in that scene. She is a woman who is showing Perón how she can dominate both her own world and his. Through the choreography, he shows her that he is not dominated by anyone. It was a dynamic that I didn’t know I had been looking for until this show and it resonated right through the last scene. I highly recommend going to this show and here’s how to do it on a budget! Broadway In Chicago seats can easily run for $90 if not more. If you’re interested in checking out Evita while it’s in Chicago (and you really should!! ), you can find tickets on Goldstar for as low as $35! Make a date out of it and then tell me what you thought! *Originally posted on Couponing For 4. Reposted with permission from the author.